Yesterday we observed that in what would mark an abrupt and serious escalation of the US-China trade and currency war, the NY Post reported that the Trump administration, as part of a crackdown on certain US investments made by Chinese companies, is set to seize a majority stake in 850 Third Ave. The stake is owned by HNA, the reeling, quasi-insolvent Chinese conglomerate whose Chairman died in a freak accident in Italy one month ago. “This is coming from the White House,” a NY POst source said of the seizure that could ultimately force the sale of HNA’s stake in the 575,000-square-foot building. As a reminder, as part of the CFIUS expansion, it now has purview over foreign real estate interests, although usually a "security pretext" needs to exist for direct government involvement, and in this case the seizure is tied to a "specific national security concern": the NYPD’s 17th Precinct is located on the ground floor on the south side of the building. 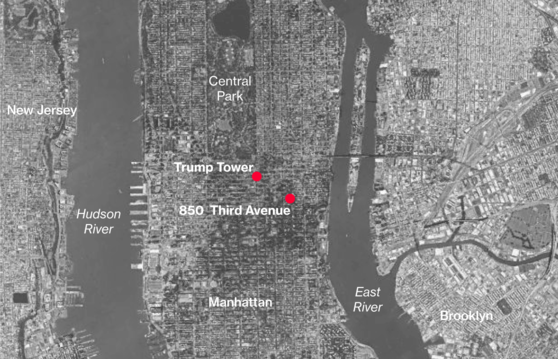 Officers from that precinct, at times, are detailed to protect Trump Tower, and while Trump maintains a residence in that Fifth Avenue building, he has rarely been there since his inauguration. For its part, HNA confirmed it has been questioned by the CFIUS over its ownership of a building in Manhattan "near Trump Tower", but denied the Post report that President Donald Trump’s administration is poised to seize a majority stake in the building, which the debt-saddled company has been looking to unload. “There is no seizure or forced sale of 850 Third Avenue underway or pending, and it is grossly inaccurate and misleading to suggest otherwise,” it said. Well maybe not, because as the WSJ reported today, the U.S. government has indeed told the infamous Chinese conglomerate to sell its majority stake in a Manhattan skyscraper. The Committee on Foreign Investment in the U.S., which reviews whether foreign investments in the U.S. represent national-security risks, informed the Chinese company a couple of months ago it had to divest itself of its holding in the building, according to these people. And while some have speculated that the CFIUS's action was prompted by the presence of a police precinct in the building, the agency didn’t explain to HNA why it had to sell the property. Following the CFIUS demand, HNA set up a blind trust and transferred its ownership stake in the building to that trust which has its own board of directors, whose fiduciary duty to the trust, not to HNA, the WSJ reports. And while HNA hasn't been given a deadline by which to sell the building, HNA is now actively trying to find a buyer for the building to comply with the CFIUS order. As reported yesterday, the Chinese conglomerate acquired a 90% stake in the 21-story tower on Third Avenue in 2016, before Mr. Trump’s election, in a deal that valued the building at $463 million, as part of an unprecedented foreign buying spree by China's conglomerates. Meanwhile, HNA continued to act as if the US did not order it to begin the disposition process. 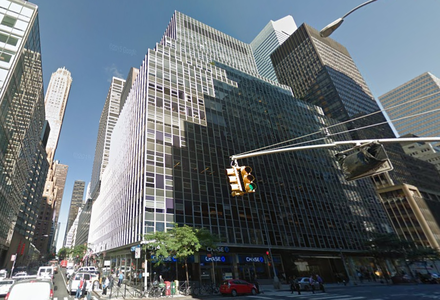 A spokesman for HNA said that "there is no seizure or forced sale of 850 Third Avenue underway or pending," adding that "there are unique facts and circumstances regarding the location of this particular property that did not exist at the time of purchase which have raised certain concerns, and HNA Group is taking measured steps to address them." In 2015 and 2016, HNA, Anbang and other Chinese investors have spent tens of billions of dollars on trophy assets like New York’s Waldorf Astoria hotel and other properties in cities including Los Angeles and Chicago. But over the past couple of years, the Chinese government has cracked down on certain types of investments abroad, including real estate, as part of an effort to help stabilize the currency. In the second quarter, Chinese firms turned net sellers of U.S. real estate for the first time in a decade, according to data firm Real Capital Analytics. In most cases, Chinese companies have made a profit when selling because of the strong U.S. economy and because prices in the commercial real-estate market are holding steady. HNA has already been selling other non-core assets to focus on its core aviation, logistics and tourism businesses. In May, the company sold a San Francisco office tower for $300 million, after paying $255 million for it in 2016. CFIUS, an interagency committee led by the Treasury, is able to force a sale after a transaction is completed by making a recommendation to the president. President Barack Obama issued an executive order in 2012 directing a Chinese-owned company to divest itself of an acquisition of four wind farms in Oregon based on their proximity to a naval base. CFIUS would likely also have a right of first refusal in any prominent corporate activity in the US involving a foreign entity, such as an acquiror of Tesla for example, which is why any potential MBO of the electric carmaker for a record going private sum would likely never get a greenlight from the president. Meanwhile, even though China has continued to respond largely stoically to Trump's trade provocations, the latest outright demand of Chinese real estate disposition would likely result in further aggressive responses from Beijing, with the most likely scenario to follow would be for China to make life for companies that produce their goods on the mainland - such as Apple - increasingly difficult, something the People's Daily hinted at earlier this week when it threatened Apple CEO Tim Cook that it would unleash "anger and nationalist sentiment" again the iconic phone maker, resulting in a collapse in Chinese sales and surging production costs, if China perceives that it is being pushed too far.